That day i bought 2 box of blueberry.But i don't know what i want to do with this blueberry.Em........cake?A bit boring...Then my mom come out and ask me go buy jam or peanut butter.Ah.....blueberry jam.....i can use this fresh blueberry to make jam.So i go search for blueberry jam recipe.I found this recipe at Happy Home Baking.She add banana on it.Banana??? ?It very new for me.I never eat banana jam before.I think supermarket didn't sell banana jam.I want try this.Actually i don't like eat banana.I only eat banana when i do detox. 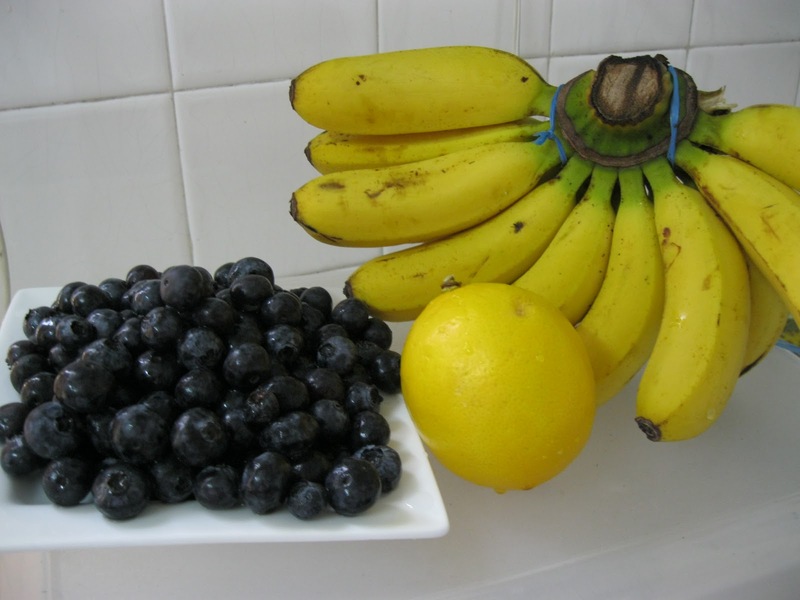 Place the meshed banana,blueberry,sugar and lemon juice in a saucepan.Mix well. On medium heat,stirring constantly with a wooden spoon.Bring the mixture to a full rolling boil. Keep boil for another 5 min,stirring constantly till the mixture are thickens,become clearer and transparent ( no more form). 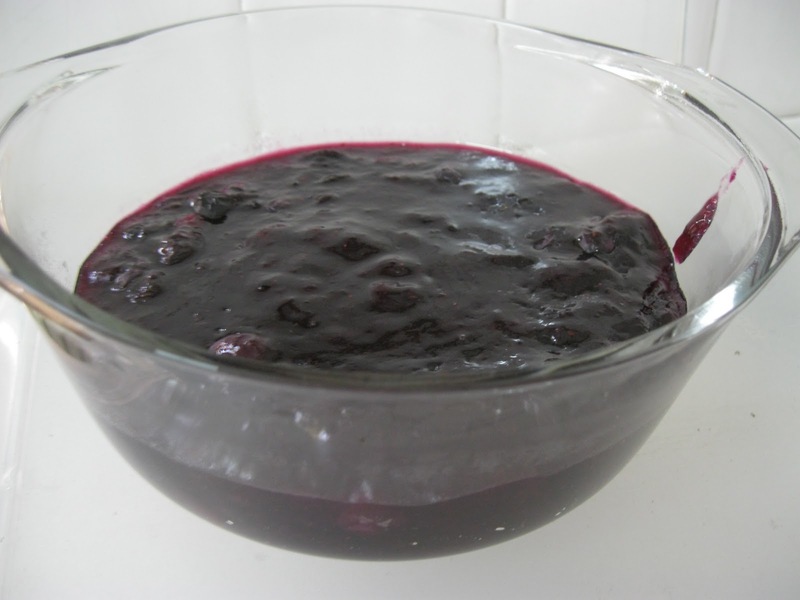 Remove from heat.The jam will a bit runny when it hot but the consistency will be just right after it has cool down. 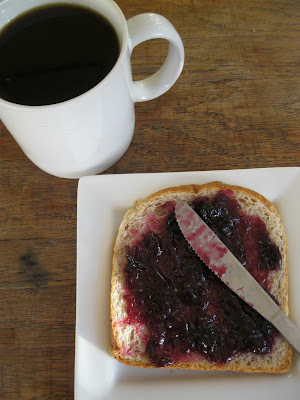 Jam can keep up to 3 months if stored in fridge or in cool and dark place.Once open,store in fridge and must finish it within 3-4 week. that sure goes well with bread- i like to have that for breakfast.